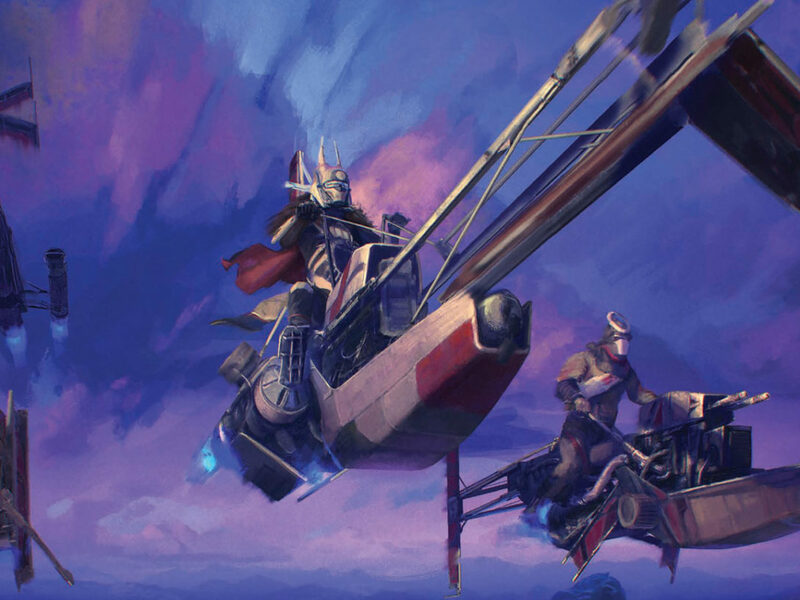 StarWars.com talks with the authors behind a stunning two-volume collection hitting stores September 27. When it comes to visually defining Star Wars, the first artist that comes to mind for many fans is Ralph McQuarrie. His artwork, from developing the original concepts of characters such as Darth Vader and C-3PO to matte paintings and posters, set the standard for the look and feel of the original Star Wars trilogy. Even to this day, McQuarrie’s style and concepts are still used to inspire the visual aesthetic for Star Wars Rebels. 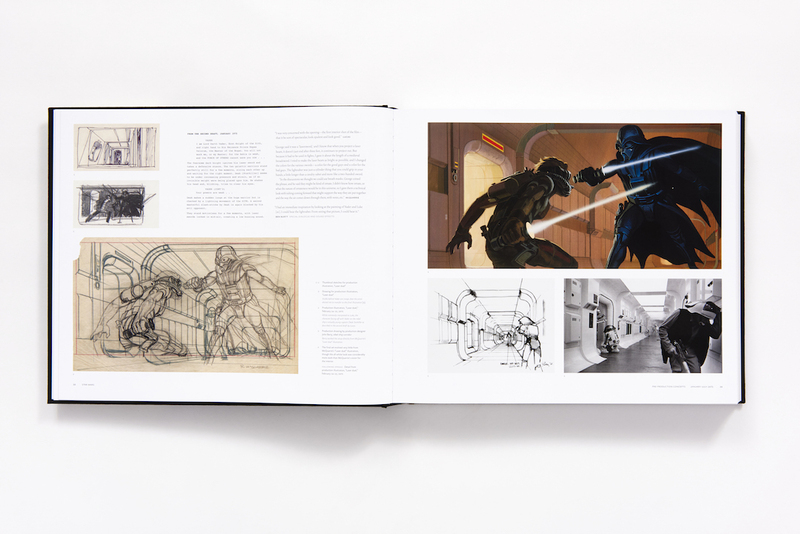 Now fans have the opportunity to examine the entirety of McQuarrie’s work for the Star Wars saga with a new collection from Abrams Books. 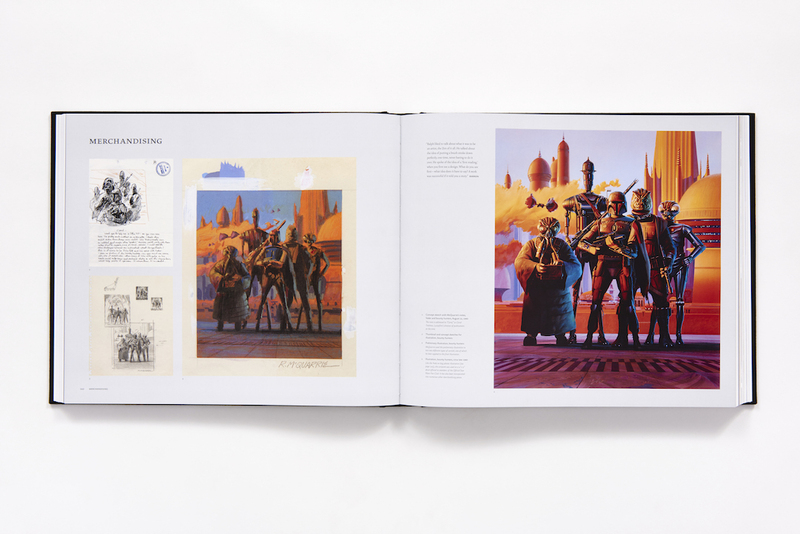 Star Wars Art: Ralph McQuarrie, coming September 27, is a luxurious two-volume set that has every piece of McQuarrie Star Wars artwork rescanned and rephotographed, from conceptual paintings and costume designs to storyboards, book covers, and even Lucasfilm holiday cards. 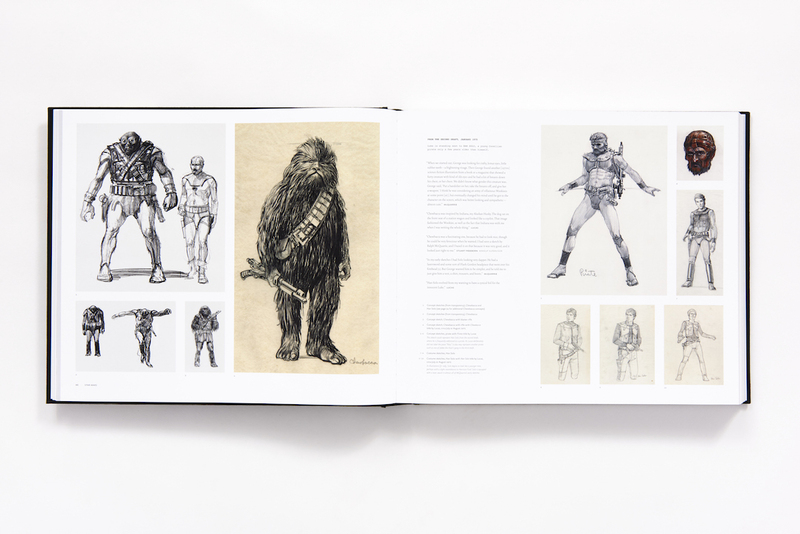 Sharing over 2,000 pieces of McQuarrie’s work, this mammoth collection contains a treasure trove of never-before-seen illustrations, unpublished interviews, and reflections from the people who knew him best. 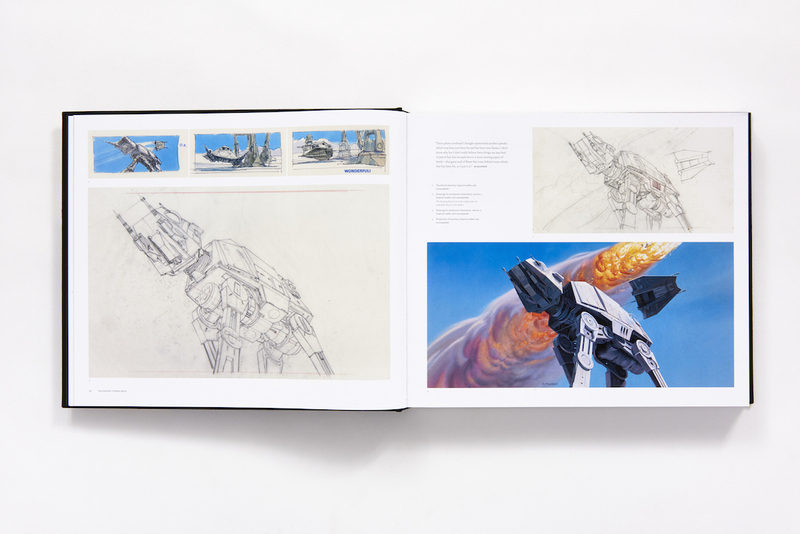 How does one even know where to start documenting the ultimate book of one of cinema’s most influential concept artists? 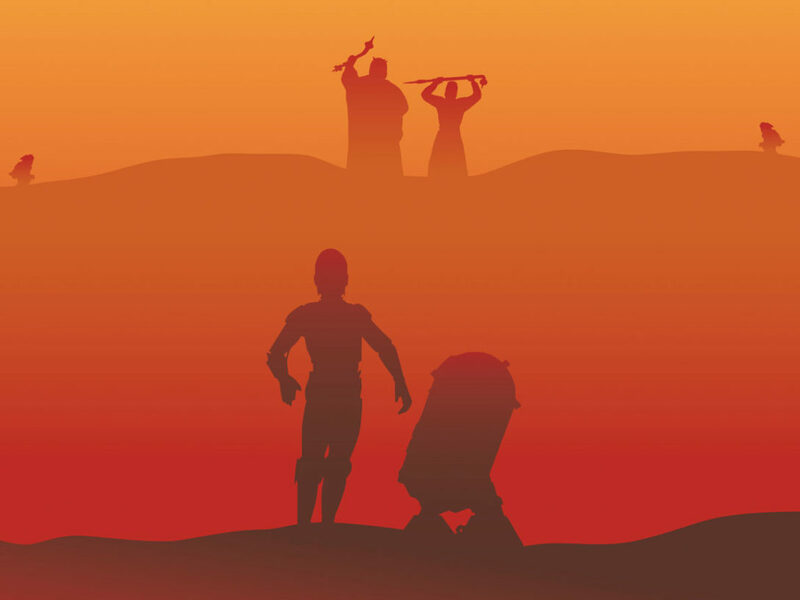 StarWars.com went straight to the source, and interviewed Brandon Alinger, Wade Lageose, and David Mandel, the three authors of Star Wars Art: Ralph McQuarrie by e-mail. StarWars.com: Ralph McQuarrie is often seen as the first person, besides George Lucas, to see the story of Star Wars, and created many of the saga’s most iconic looks. 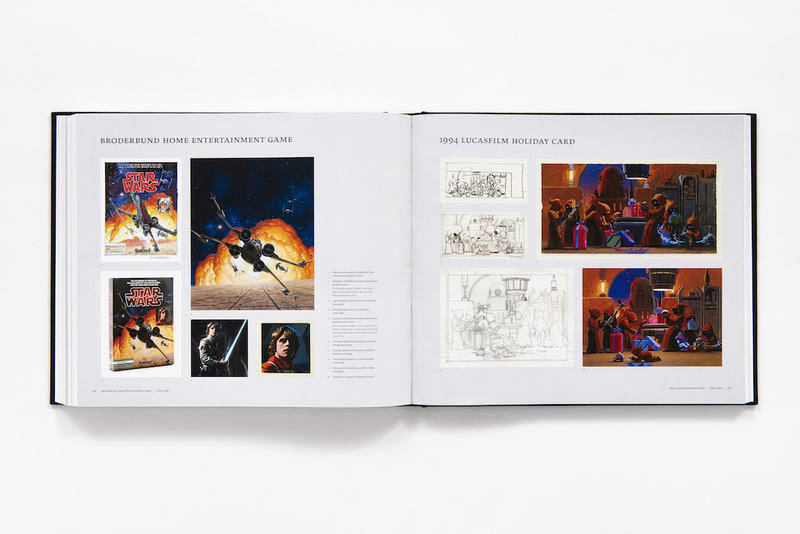 How did this book, collecting McQuarrie’s complete work on Star Wars, come about? 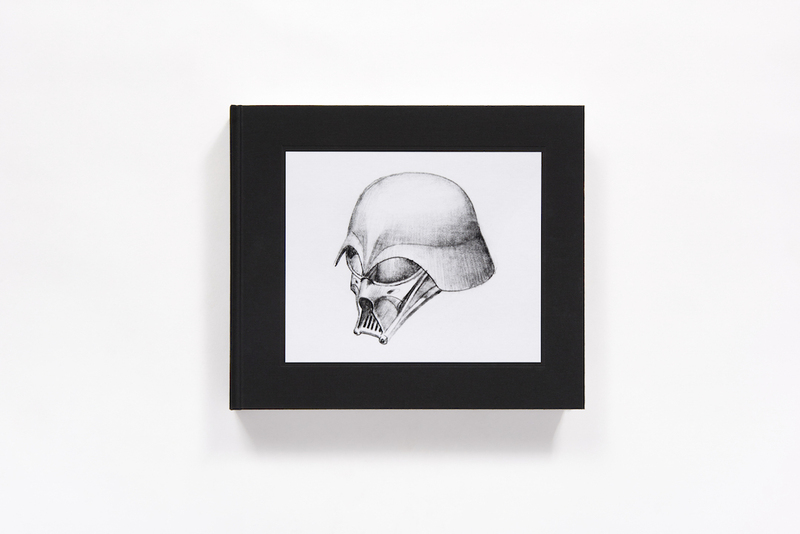 David Mandel: This is a book that Jonathan Rinzler, former executive editor at Lucasfilm, wanted to do for many years. 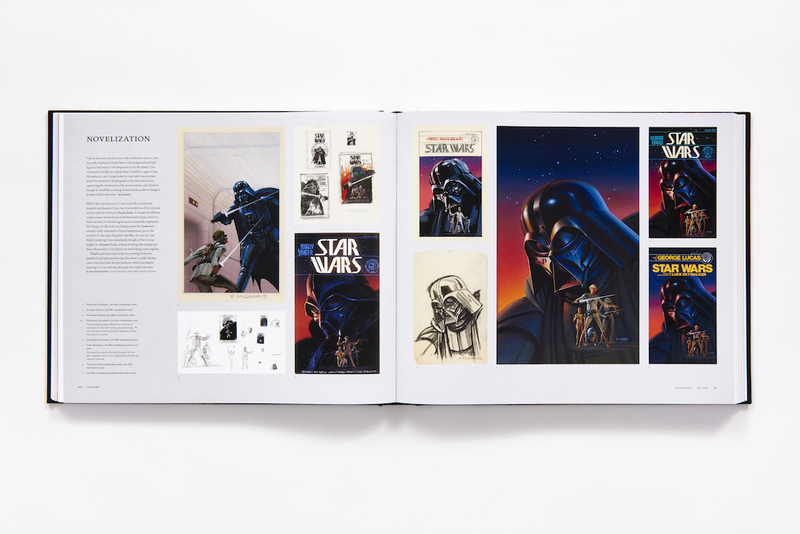 While working on his Making Of series of books he saw the depth of the McQuarrie holdings in the Skywalker Ranch archive, which are just staggering. Jonathan had previously pulled in long-time Star Wars researcher Brandon Alinger to write Star Wars Costumes: The Original Trilogy. Brandon Alinger: I knew David and Wade Lageose as longtime McQuarrie artwork collectors and aficionados, so it was a logical partnership. 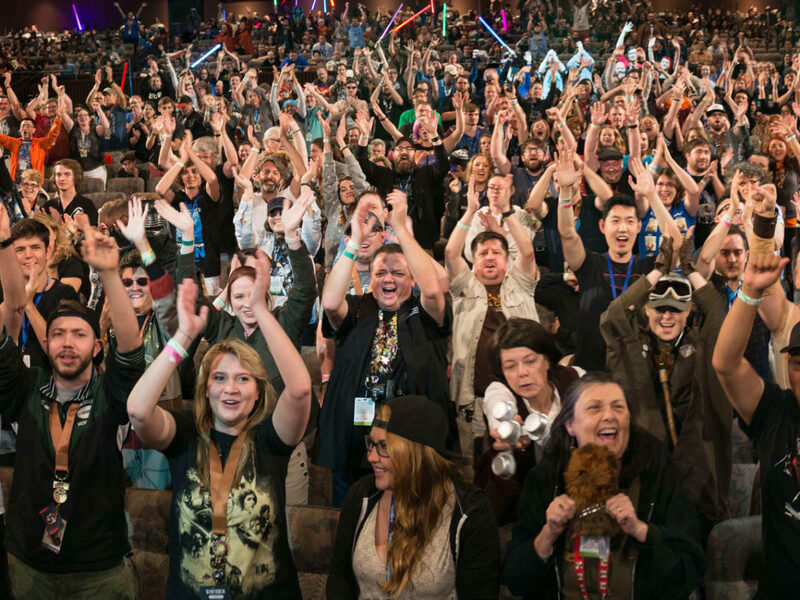 StarWars.com: What expertise does each author bring to this collection? Wade Lageose: As mentioned, Brandon had previously authored Star Wars Costumes: The Original Trilogy for Lucasfilm. He’s been researching the films for many years and has interviewed dozens of crew members, visited all of the filming locations, and collected a wealth of production documents during his research. Brandon Alinger: David is a veteran Star Wars collector and art enthusiast, as well as a professional writer, director, and producer of television and feature films. 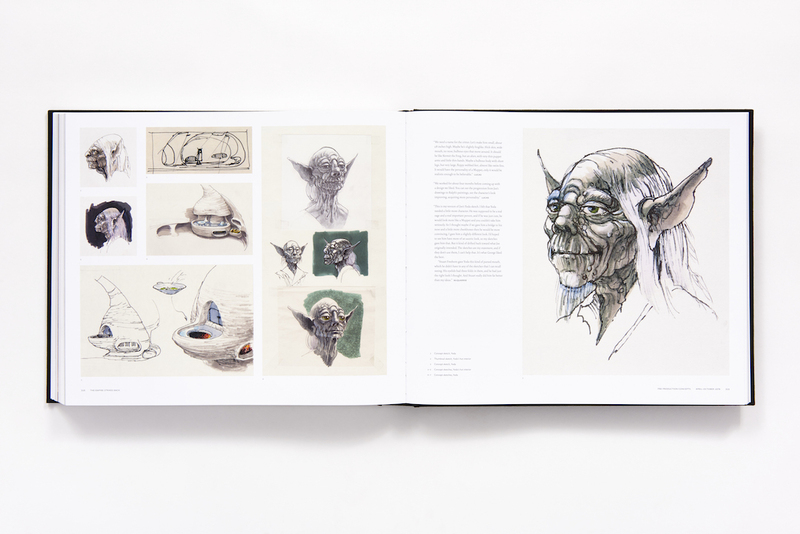 David had worked on several artwork publishing projects in the past, including The Art of Dave Stevens and Star Wars Artifact Edition. And Wade is a graphic designer/artist and knew McQuarrie well from approximately 1997-2012. 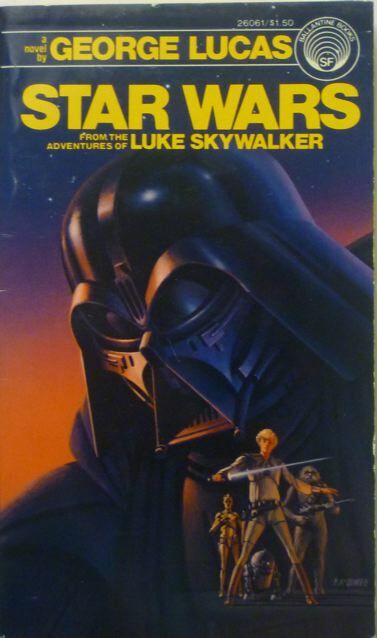 Wade brought a unique first-hand insight of McQuarrie to the table, as well as his own interviews with McQuarrie that were drawn on for the book. StarWars.com: This two volume collection has more than 2,000 pieces of Ralph McQuarrie Star Wars art. How do you go about organizing such a colossal trove of imagery, even within the chronological framework of making a film? Brandon Alinger: It’s tricky! Working out the order was one of the major challenges of the book. 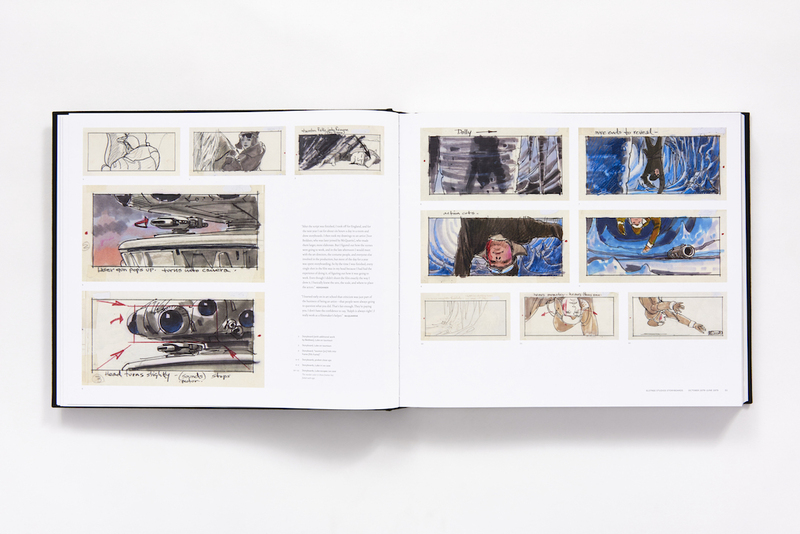 McQuarrie’s work touched on so many areas of trilogy’s production, and related areas — concept sketches, costume sketches, production paintings, matte paintings, publishing work, the list goes on — making organization a real challenge. Along with Jonathan Rinzler and Eric Klopfer at Abrams, we decided it was most interesting to see the artwork as Ralph McQuarrie would have seen it — in the order he produced it. The easiest route would have been to lay it out in story-order, but chronologically is a more scholarly and informative approach. David Mandel: Seeing Ralph’s work laid out chronologically also allows you to appreciate just how many concepts and designs Ralph was working at any one moment, and how integral Ralph was to every aspect of the movie from costumes to designs to matte painting to early poster designs. Brandon Alinger: The challenge came from the lack of perfect information. Very little of the work is dated. We had access to some of McQuarrie’s daily calendars from the time which provided date information, and dug deep for overall production information in other sources that informed the order. 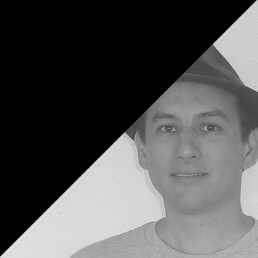 Wade Lageose: There were also challenges in the fact that McQuarrie would sometimes start developing a concept with his signature thumbnail sketches, and then move on to one or more other things, and then revisit those earlier thumbnail sketches and develop them into larger concept drawings or full-blown production paintings. We wanted to try to group material for a single piece together, when we could, to take the reader on a coherent journey from the inception of an idea to the finished work. That was sometimes at odds with our chronological narrative, so concessions were made here and there. Brandon Alinger: Aside from determining the order in which to present the artwork, we had to work out exactly what artwork existed, where it was located, and whether the existing imagery was acceptable. The major sources were the Skywalker Ranch archives, which hold the majority of McQuarrie’s originals, Lucasfilm’s image archives, which contain images of some pieces not present elsewhere, the Ralph McQuarrie archives, and a number of private collections. All of these sources had to be analyzed and reconciled, and then a vast amount of the artwork was rescanned in an effort to make it look better than it ever has in print. StarWars.com: How does Star Wars Art: Ralph McQuarrie bring context to the artwork? Wade Lageose: The Skywalker Ranch library was a treasure trove of McQuarrie interviews from over the years. 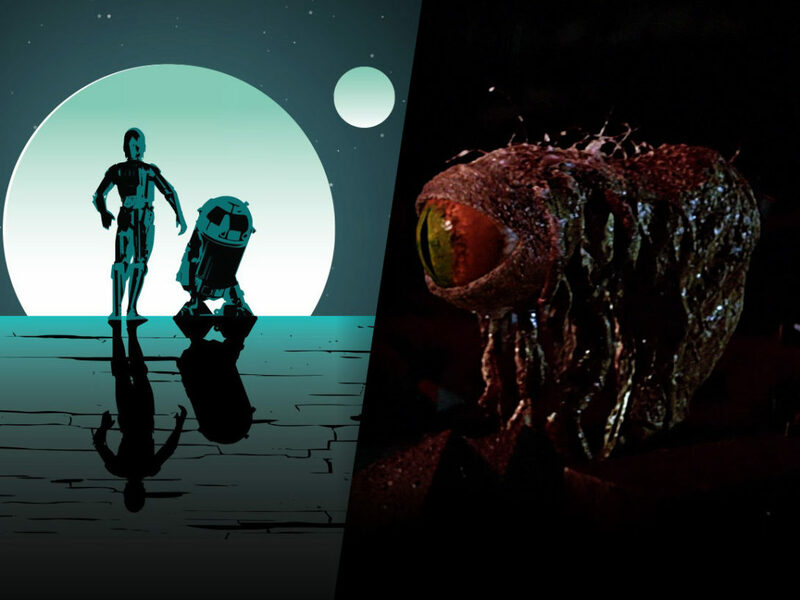 Some of the best were ones done by Lucsafilm’s early publishing departments when they were working on the Ralph McQuarrie Portfolios that many fans will be familiar with. When putting those portfolios together, they basically sat with Ralph and a tape recorder and asked him to talk through the majority of the production paintings. These tapes basically have Ralph recalling the thought process he went through for everything he designed or painted. 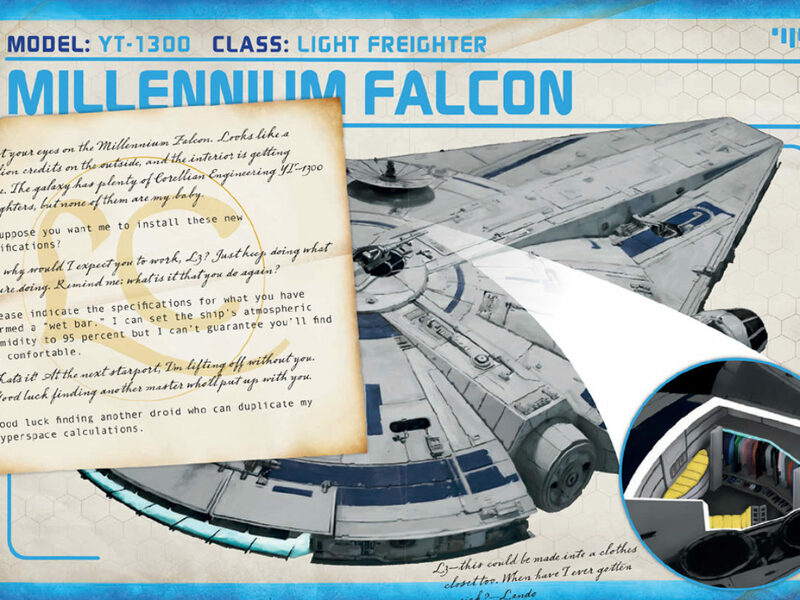 They contained wonderful ideas, like the front of the Sandcrawler opening up as a trash scoop, and lots of fun anecdotes — like how Kenner used to send him copies of the toys, and he used a toy Han Solo pistol as reference when painting the blaster into one of his illustrations. 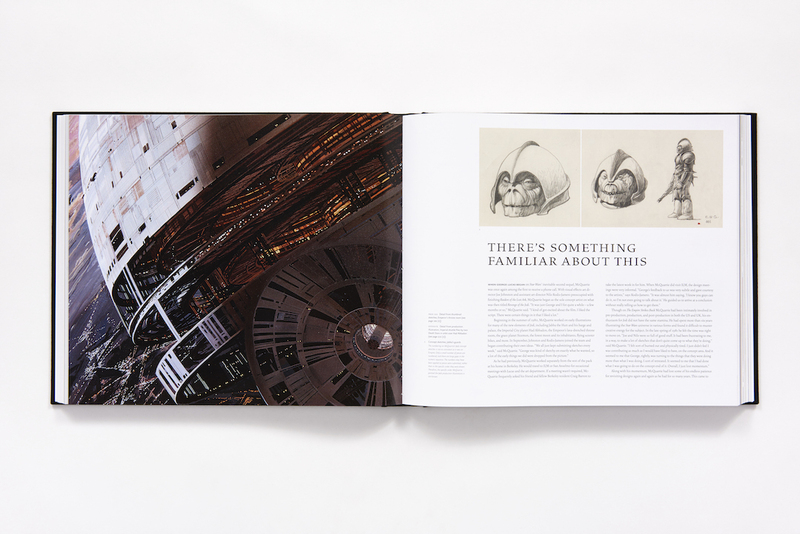 The essays, pull quotes and captions in the book take you inside McQuarrie’s amazing mind. David Mandel: We also were able to interview Ralph’s co-workers such as Joe Johnston, Craig Barron, and Harrison Ellenshaw, as well as modern filmmakers, like J.J. Abrams and Christopher Nolan, who were influenced by Ralph’s work. If you’re a fan of the making of these films, there’s going to be a lot here that you haven’t read before. 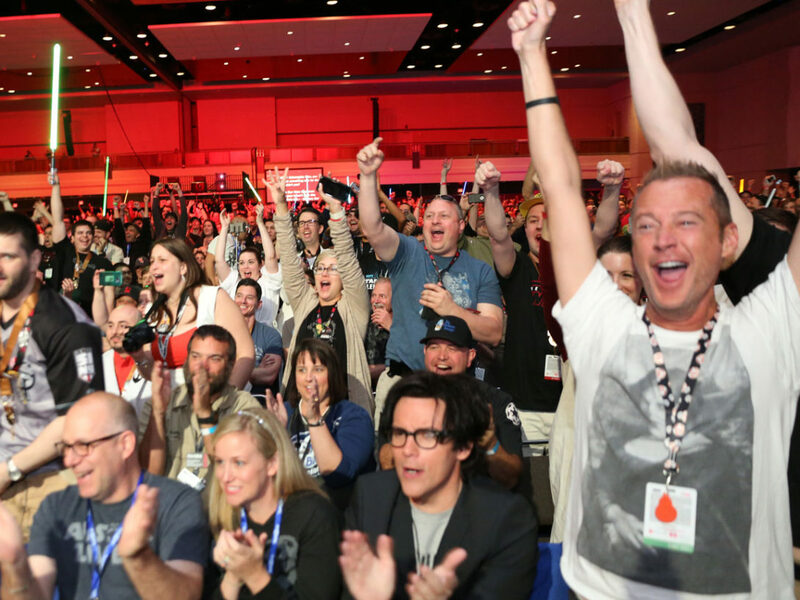 StarWars.com: With three authors, how was the writing collaboration handled? Brandon Alinger: We split the essays out between us, and then each reviewed and edited the others’ writing. Creating this book was more than just writing it — a massive amount of time went into organizing and cataloging the artwork, as well as assisting Abrams with design and layout matters like color correcting the images of the paintings based on reviewing the originals. StarWars.com: Ralph McQuarrie created a lot of different kinds of artwork for the saga, from concept art and costume designs to storyboards, matte paintings and even posters, book covers, and holiday cards. How did the creative process differ based on the type of artwork being developed? Wade Lageose: A lot of McQuarrie’s creative process was the same, regardless of what the final work was. In the simplest form, he was known to start with very small thumbnails — perhaps only an inch across — that he used to work out composition and form. Some of these are tight and detailed. From there he might go to a tighter, larger concept sketch, and then on to a tissue drawing to outline a painting. The tissue was transferred, via a projector or direct graphite transfer (tracing), and that created the basis of a painting. That’s the process in simplest form — although, of course, there were variations. All of which are covered in detail in the new book. StarWars.com: Which McQuarrie pieces hold a special place in your hearts? 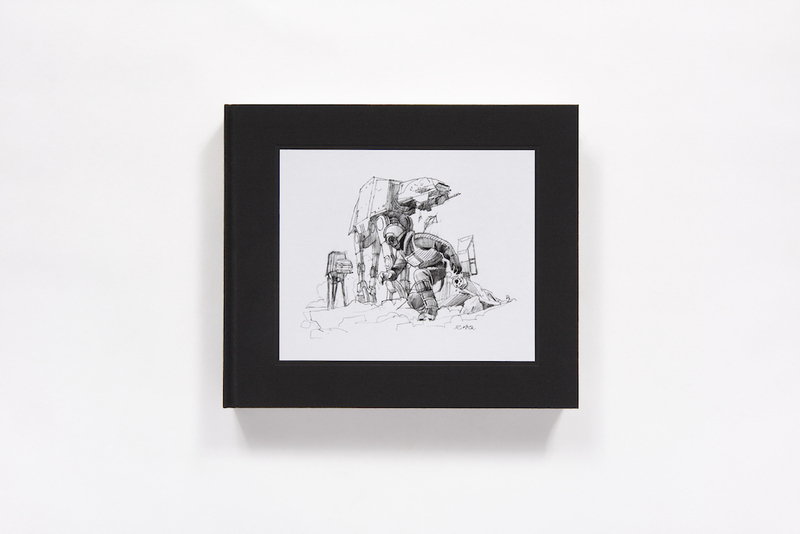 Brandon Alinger: My favorites are the earliest sketches he did on Star Wars. 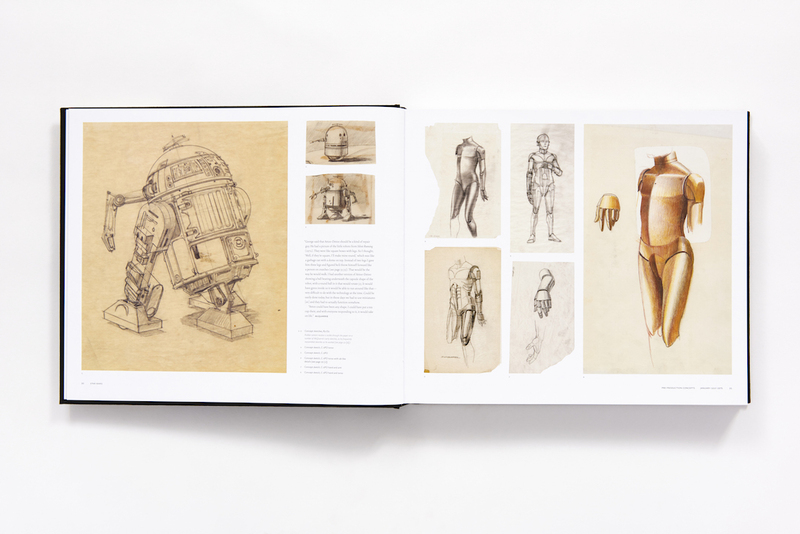 It’s amazing to see the first sketches of Darth Vader and R2-D2, for example, where the character essentially went from Lucas’ mind to McQuarrie’s sketch in a single illustration. The design of some of those characters makes up a massive part of who they are, and that’s essentially where they were born. For pure artistic wonder, seeing in-person the production paintings and the matte paintings was just amazing. There’s nothing like seeing the originals (though this book is the next best thing!). David Mandel: My favorite part of Ralph’s Star Wars work is how you can see the Boeing designer he once was. It’s that sense of form and function despite the fact that you are looking at sci-fi rocket ships. I see it everywhere but it hits me over the head in pieces like the “Battle for Death Star (fighters dive on sphere).” We get Ralph’s early interpretation of the Death Star with all sort of ports and panels and towers doing something, and at the same time we get the Y-wings looking not only all “badass” but also looking like they might actually work. I’m also a huge fan of the early Star Wars version of the Imperial City, Alderaan. I love the contrast of the cloudy grey sky with metallic city, and I love the fact that Ralph created this for Star Wars and then George liked it so much he turned it into Bespin for The Empire Strikes Back. Wade Lageose: For me, Ralph’s initial Star Wars artworks are iconic and beautiful and had a huge impact on me as a kid — from concept sketches to final production illustrations. Starting in November 1974, McQuarrie began to create a visual vernacular for the Star Wars universe that is still being used today, and that’s just crazy. George Lucas had the concept, but through Ralph’s paintings, we saw the vision of these new characters in new worlds, and it was mesmerizing. I have many favorites, but perhaps it was Ralph’s “Laser Duel” from Star Wars that really had me fixated. 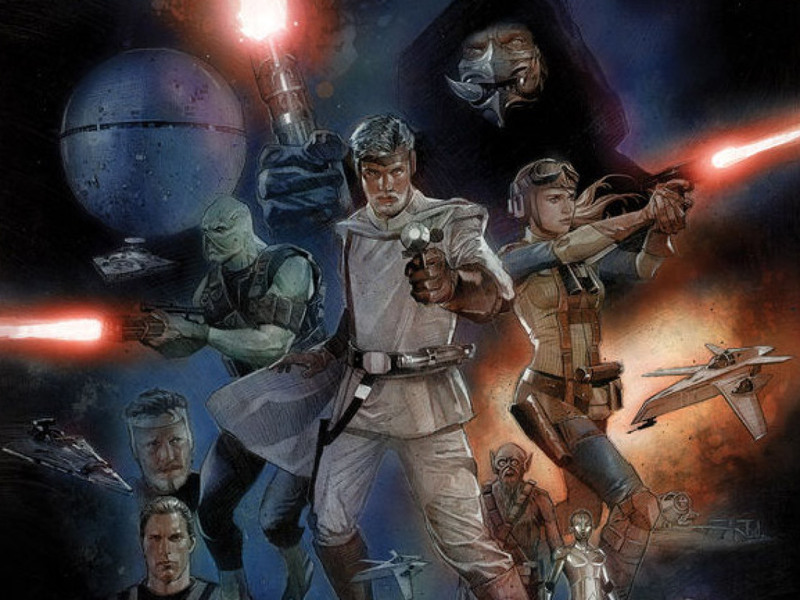 The illustration has great composition and movement which features an early draft character, Deak Starkiller (often referred to as Luke), facing off with Darth Vader. As in many of his early Star Wars paintings, there’s a spontaneity/energy to it, and beyond the extraordinary technical merits, each of his paintings told an engaging story that kept me coming back, again and again. 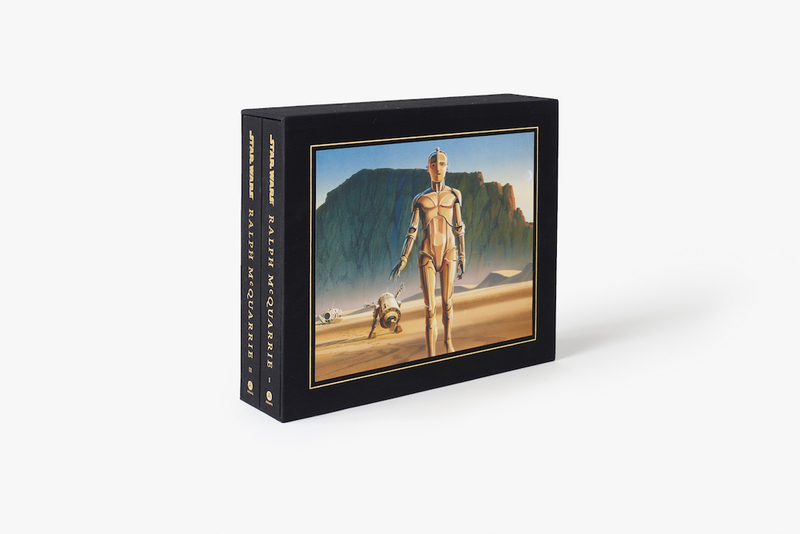 You’ll find your favorite McQuarrie pieces in here too — as well as thousands more pieces that might compete for your attention. 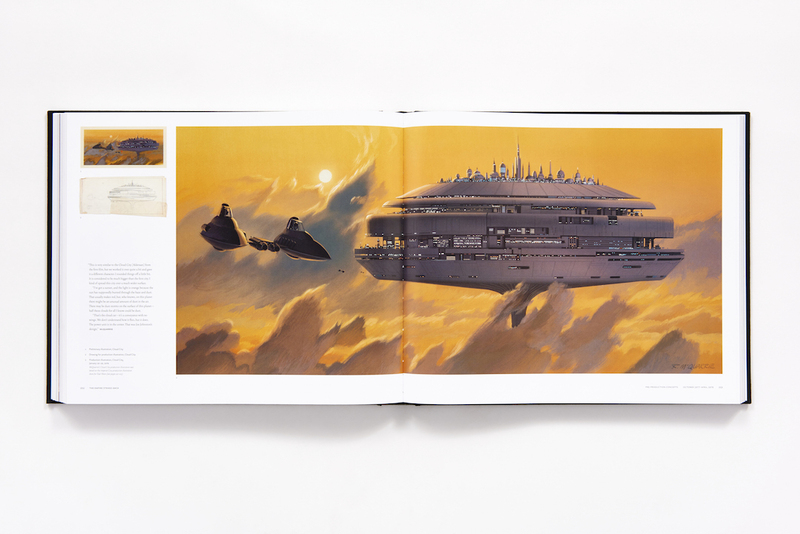 Impressively weighing in at more than 21 pounds, Star Wars Art: Ralph McQuarrie is the definitive collection of the Star Wars artwork by the artist, and gives a great insight into the man behind the artwork. 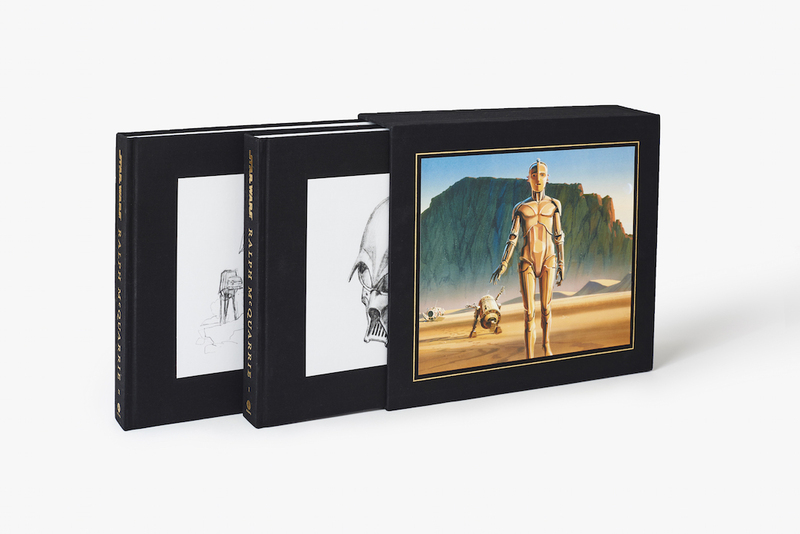 Arriving in a clothbound two-volume set with slipcase, Star Wars Art: Ralph McQuarrie will be released on September 27.